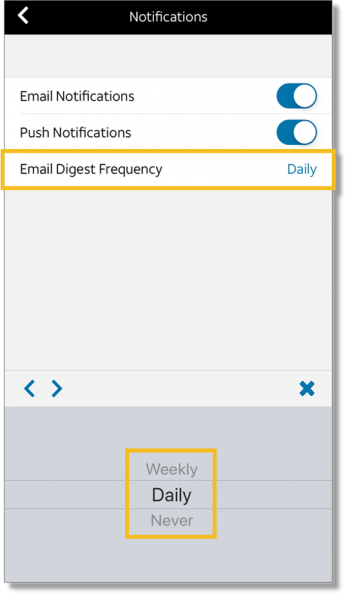 You can receive daily or weekly email notifications that summarize the activities in your workspace. In the User Settings window, click the Notifications tab. 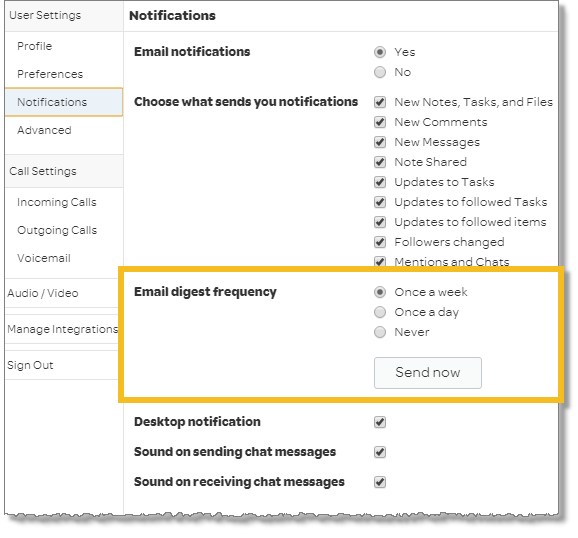 Next to Email digest frequency, select the option you want.